All reviews are the subjective opinions of third parties and not of the website or its owners. Reviews are placed by members of the public that have held a function or event at Lanchester Cricket Club. 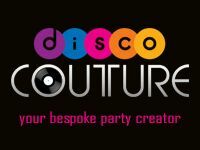 At needadisco.com we only accept reviews from confirmed clients that have booked a DJ to play at Lanchester Cricket Club via our website, with the arrangements independently verified by both the DJ and the client before the event takes place - no "fake reviews" here! Helpful information for DJs and entertainers visiting Lanchester Cricket Club provided by trusted members of needadisco.com. PARKING: Small car park at the front of the building with parking for around twenty cars. The entertainer can go through the car park, pull up immediately next to the clubhouse and stay here all gig. ACCESS: Go through a single glass door into the bar, turn immediately right and go to the back of the room. Set up across the far left corner. Becomes very tricky if guests are standing around. FACILITIES: There is not much room at all so try to do this one with discreet lighting. No room for screens / trusses / etc. Built in seating around the edges also limits space. Not ideal but workable. STAFF: We had very little contact with the staff. They stayed behind the bar and didn't approach us. Lights went out at 23:00 so we turned the music off and there were no complaints. ADDITIONAL COMMENTS: "Small, local and well aged venue in the centre of a close knit community. 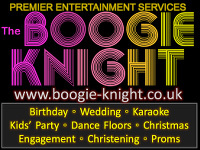 Great for kids parties, community events and general low end occasions. Allow extra time for load in and take plenty of extensions as plug points are sparse!" Information is based on enquiries and bookings handled via needadisco.com so whilst it's a great insight, if you have any questions or concerns about holding a function or event at Lanchester Cricket Club please contact the venue. Lanchester Cricket Club has previously been hired as a venue for private parties such as birthday celebrations, anniversaries, engagements etc. Lanchester Cricket Club is in our Sports, Social & Members&apos; Clubs category. The map below shows other local venues in the same category.